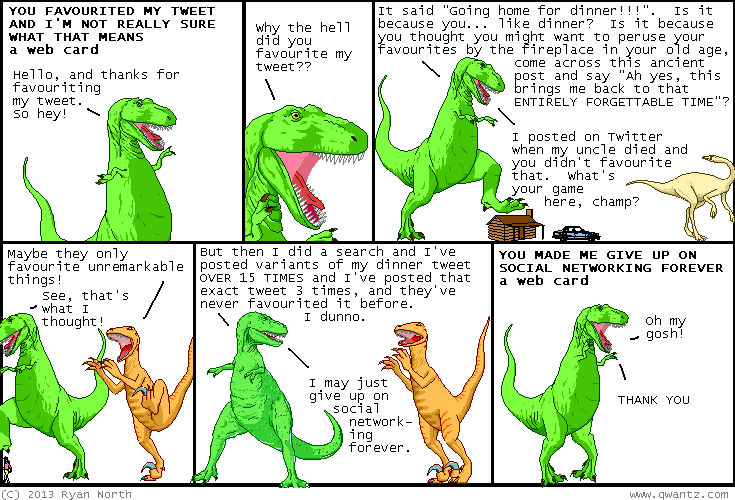 Dinosaur Comics - June 26th, 2013 - awesome fun times! June 26th, 2013: I am still in Austin, Texas! I have signed thousands and thousand of books! There are still a few thousand books left to sign! Sometimes life is funny that way!